Point of View (POV) cameras are quickly becoming one of the most popular action sports accessories on the market and there’s no question why: These little machines make it possible to take pictures and video in professional quality with a price tag that nearly anyone can afford, while remaining waterproof, shockproof and extremely easy to use. They also come with a variety of mounting options so you can slap the camera on your helmet, ski pole, cat, or just about anything else that is worth filming. While these cameras are extremely easy to use, there are different models and brands, all with different features that can make it seem a bit daunting to pick the right one for your needs. Fret not, we’re about to break down and explain all of the tech and features so you can pick the right camera and always GTS (get the shot)! It’s important to understand the terms and features that POV cameras use so you can decide which one will best suit your needs. Display resolution is probably the most common feature, as it has to do with video quality. Quite literally, resolution measures the size of the screen in number of pixels; the more pixels, the larger the screen and higher the quality. Common high-definition (HD) resolutions are 720p and 1080p. On POV cameras, each display resolution has a specific frame speed that it can film at (ex. 720p 60fps). These speeds translate to how many still pictures, or frames, the camera can take per second in video mode. This is an important number to take into account if you plan on taking slow-motion shots. In order to keep the video smooth and glitch-free during slow motion playback, you must have a higher fps rate, as the more frames per second you have, the smoother the shot will be once stretched out to a slower speed. 60fps or above is recommended for slow-motion shots. White balance deals with the “temperature” of colors in an image or video. It is used to remove unrealistic color casts in order to make objects that are white in person appear white in the picture or video. Exposure has to do with the amount of light allowed to hit the photo sensor in the camera. Measured in “Lux Seconds,” it is up to the photographer to decide the intended exposure, but underexposed photos will appear dark and shadows will be indiscernible from blacks. Overexposed photos will be white, “washed out” and there will be no highlight detail. Contrast is the difference in color and shading that makes an object distinguishable. Arguably the most important image quality factor, sharpness determines the amount of detail a camera can reproduce, versus the naked eye. Metering takes some of the guesswork out of all of this photo vocab jibber jabber. It is the process by which a camera selects an appropriate combination of aperture and shutter speed by reading light levels in order to automatically set the required exposure value. Photo quality is measured in mega-pixels (MP). Each mega-pixel is equal to 1 million pixels and the more mega-pixels, the higher quality the photo will be. Each camera has an ultra-wide angle lens that captures a very large field of view and produces a slight “fish eye” effect. H.264 is an industry standard video codec that is commonly used for the recording, compression and playback of high-definition video footage. MPEG – 4 is a type of video file used in conjunction with H.264 for high-definition videos. Compatible with most playback and editing software, MP4 is the video format used on POV cameras. Designed to be the successor to the popular MP3 file format, AAC is a standardized encoding scheme for high-definition, digital audio. The GoPro Hero4 Black is the first camera of its kind to feature ultra high-resolution, high frame rate video as poweful as this. Stunning clarity. Liquid-smooth slow-motion playback. Cinema-quality capture. Get pro-quality still shots with the 12 mega-pixel camera and the ability to capture 30 shots per second for epic sequence shots. Time intervals of 0.5 to 60 seconds. No more grainy low-light shots! Customizable exposure settings of up to 30 seconds for single and time lapse photos. Allows you to capture ultra-low-light scenes like never before. Auto Low Light Mode intelligently adapts to changing light conditions without having to adjust camera settings. Built-in Wi-Fi allows the GoPro Hero4 Black to be used with the included Wi-Fi Remote or iOS smartphones running the GoPro app. This enables full camera control and scene preview when used with an iOS device. The included housing is waterproof up to 197 feet (60 m). That’s roughly 0.0107991361 Leagues for you aquatic explorers out there. Built-in Wi-Fi allows the GoPro Hero4 Silver to be used with the included Wi-Fi Remote or iOS smartphones running the GoPro app. This enables full camera control and scene preview when used with an iOS device. The GoPro Black Edition is the first POV to support this many resolution and fps options for HD video. These allow the GoPro Black to capture extremely high definition shots with very smooth slow-motion capabilities. Get pro-quality still shots with the 12 mega-pixel camera and the ability to capture 30 shots per second for epic sequence shots. No more grainy low-light shots! The GoPro Black Edition has updated low-light performance that keeps shots crisp and clear, even in extreme low light. Built-in Wi-Fi allows the GoPro Black to be used with the included Wi-Fi Remote or iOS smartphones running the GoPro app. This enables full camera control and scene preview when used with an iOS device. No need to worry about running out of memory and missing the shot. The GoPro Black Edition can work with up to a 64GB microSD card, which you’ll have a tough time filling in one film session. Get pro-quality still shots with the 11 mega-pixel camera and the ability to capture 10 shots per second for some pretty sweet sequence shots. The included housing is waterproof up to 197 feet (60 m). That’s like, 2,364 inches deep. Built-in Wi-Fi allows the GoPro Silver to be used with the optional Wi-Fi Remote or iOS smartphones running the GoPro app. This enables full camera control and scene preview when used with an iOS device. GoPro cameras are capable of capturing subtle, natural sounds of voice and music while greatly reducing wind-noise during high speed activities. 1080p30/25 Full HD, 960p30/25 Tall HD, 720p60/50 or 30/25 Action HD, 480p120/100, 60/50, or 30/25 Slow Motion – Four video modes enable you to get the perfect shot, every time. Track your speed, elevation drop (or gain if that’s your thing). These stats, as well as date and time can show up as stamps on your footage to make your friends even more jealous. Use your iOS or Android phone as a remote control to change camera settings, or preview your shot with the free Contour app. The included housing is waterproof up to 197 feet (60 m). Trust me; if you go that deep without decompression stops, you’re going to have a bad time. Paired with the 270 degree rotating lens, the laser alignment lets you get a perfectly straight shot every time, no matter how the camera is mounted. Adjust the White Balance, Contrast, Sharpness, Exposure and Metering to customize the look and style of your shots. The Power On / Record switch means the Roam2 is only using juice while it’s filming. This gets you up to 3.5 hours of filming on a single charge! A 32GB microSD card will provide more than enough space for a day of filming! The Roam2 is waterproof up to 1 meter without a case. The Power On / Record switch means the Roam2 is only using juice while it’s filming. This gets you up to 3.5 hours of filming on a single charge. No matter what activities you want to film, there is a mount for either of these brands of POV camera. Popular ones include helmet mounts, bike mounts and pole mounts. You can even get a grab bag of mounts for getting tons of different angles and shot styles. GoPro cameras feature plug-and-play add-ons such as an extra, external battery, removable LCD screen and Wi-Fi unit with remote (comes standard on GoPro Black Edition). There are a variety of different protective cases for your POV camera and accessories, such as the Contour Camera Carrying Case or the DaKine POV Camera Case. If you are looking for the bee’s knees of POV cameras and have the money, the latest GoPro Hero4 Black is likely the answer. It has unprecedented professional quality video specs, remote control and viewing options and a super high memory capacity so you never have to worry about missing the shot. While lacking the some of the high resolution qualities of the latest GoPro, the Contour +2 is still a very capable and streamlined unit. Its adjustable settings such as white balance and exposure mean that your footage can turn out well regardless of what lighting conditions you’re filming in. Finalized with a power on & record button, the +2’s battery isn’t wasted while the camera sits in standby; it’s either off or filming at just the flip of a switch. 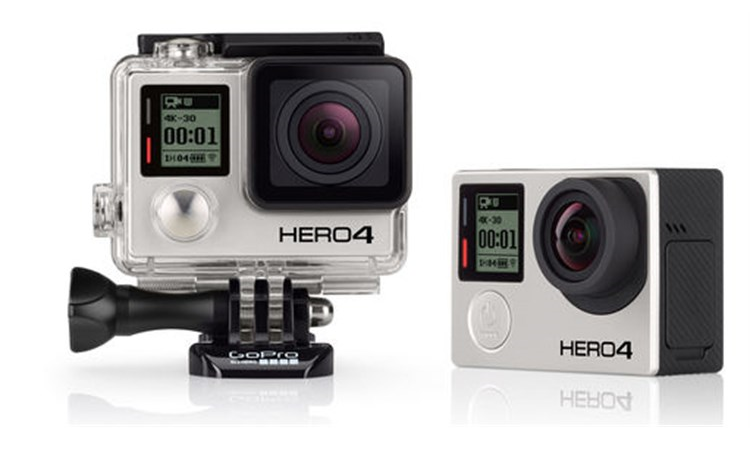 Third in the lineup is the GoPro Silver Edition. It lacks some of the super high resolution/fps specs of its big brother, but with fewer options it’s more beginner-friendly and still more than capable of capturing extremely crisp and great looking footage. Last but not least is the Contour Roam2. This low-cost option is perfect for beginners who want to capture great footage but don’t yet know how to take advantage of the high-tech features on the more expensive models. The Roam2 can still shoot in 720p at 60fps, which is very versatile and provides great image quality. It’s kind of a bummer that it doesn’t come with a waterproof housing, but as long as you don’t go deeper than a few feet under water, its waterproof construction will hold up just fine. Hopefully some of that fancy camera lingo makes a little more sense now, so you can decide which camera is best for you with a bit more confidence. 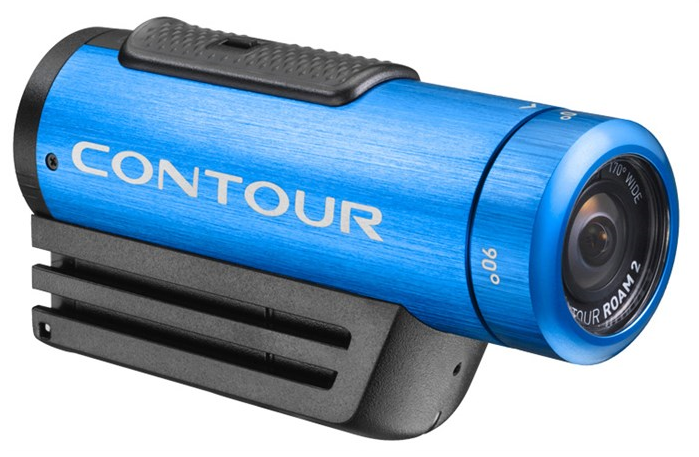 Both Contour and GoPro cameras are excellent products and each model comes with certain features that set them apart. Now go choose a camera and GTS already!